Through engaging stories, RENEWING THE COUNTRYSIDE: WISCONSIN explores how the state is leading the nation in sustainably grown food, environmentally responsible businesses, and home-grown, forward-looking answers to the challenges facing today's rural economy and communities. Featuring beautiful photography, RENEWING THE COUNTRYSIDE: WISCONSIN showcases thirty-nine creative, hard-working people, organizations and businesses that are bringing new energy and visionary approaches to the Wisconsin countryside. Seven chapters cover stories ranging from arts and culture, farming, green business, conservation, tourism, community development, and education. Examine how the city of Washburn on Chequamegon Bay has become the country's first eco-municipality, how Growing Power is connecting urban Milwaukee kids to fresh food and the countryside, and how innovative farmers and artisan food makers are bringing sustainably and organically grown products to customers throughout the state. Powered by the wind and sun, Inn Serendipity is one of the featured stories in the Tourism section of the book. 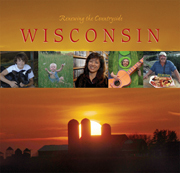 "Wisconsin's rich agricultural heritage and identity are coupled with a strong and enduring conservation ethic and sense of stewardship for our land and natural resources," writes Wisconsin Governor Jim Doyle in the book's Foreword. "RENEWING THE COUNTRYSIDE: WISCONSIN clearly shows how these vital traditions continue to shape how we live and work. It showcases people and ideas that are transforming our state -- through knowledge, innovation and creativity." Joan Sanstadt talks with Lisa Kivirist, one of the lead writers of Renewing the Countryside Wisconsin. 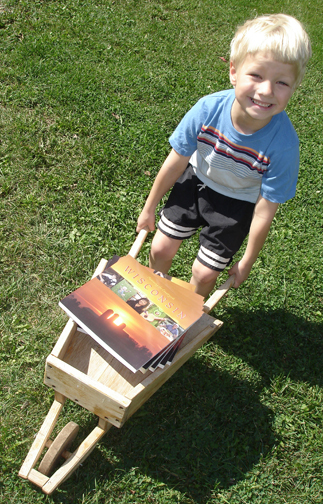 The book showcases several businesses and organizations around the state from farming to conservation and culture to tourism. These places highlight rural communities and innovations, and the importance in the economy. 02.29.08 -- Cedar Grove Cheese: Featured in "Renewing the Countryside - Wisconsin"
03.28.08 -- Folklore Village: Featured in "Renewing the Countryside - Wisconsin"
Distributed by University of Wisconsin Press for Renewing the Countryside, the RENEWING THE COUNTRYSIDE: WISCONSIN book has been produced in partnership with the Midwest Organic and Sustainable Education Service (MOSES) and the Northern Center for Community and Economic Development (UW-Superior and UW-Extension). Print off our Book Order Form (in PDF file format). Lisa Kivirist and John Ivanko are co-innkeepers of Inn Serendipity, among the top 10 eco-destinations in North America and completely powered by the wind and sun. They prepare seasonal cuisine for their guests using organic ingredients harvested a hundred feet from their back door. National speakers, the husband and wife duo are also co-authors of Rural Renaissance, Edible Earth and ECOpreneuring as well as numerous other books.